Here at the K-Team HQ we like nothing better than heart-felt words from our brides who take the time to write to us after their wedding day. I was wondering if you could pass on my thanks to Kristina and Kasia for doing the makeup and hair for myself and the bridal party for my wedding. I cannot praise Kristina and Kasia enough. When I came to the studio for the trial a few months ago I was really impressed how they both took the time to listen to me and ensure that the makeup and hair chosen not only suited me but fitted with my usual style and look. On the day itself, both Kristina and Kasia were great. Kristina was a lovely calming presence and I adored my makeup. It was a wonderful combination of feeling very much like myself but also like it was the prettiest I have ever looked. It stayed looking fresh all day. My mum adored Kristina too and I am so happy that she had her makeup done professionally for the day. She looked simply beautiful. She was singing Kristina’s praises and said what a lovely person she was. 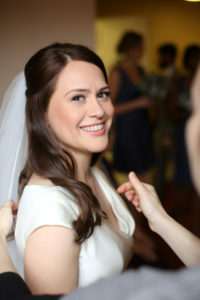 Kristina also did beautiful makeup for my mother-in-law who looked so elegant on the day. I absolutely loved my hair and it stayed in place all day (and night!) long until 3:30 in the morning! It felt great and looked so thick and natural. 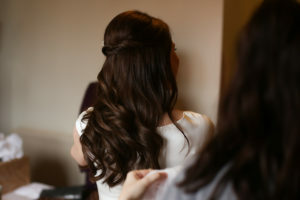 My bridesmaids’ hair was also beautiful and we had many giggles seeing the girls with huge back-combed hair during the preparations! My sisters-in-law and mother-in-law were also delighted with their blow-drys. 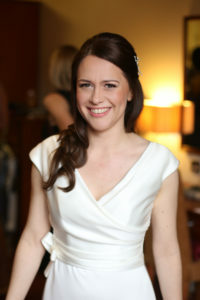 I am also grateful to Kasia for helping me into my dress! I was thrilled with the photos that Kristina showed on her Facebook page of both me and my mum. She is a very talented photographer! All in all, I was just delighted by the service provided by Kristina and Kasia and would not hesitate to recommend them both to anyone in the future. 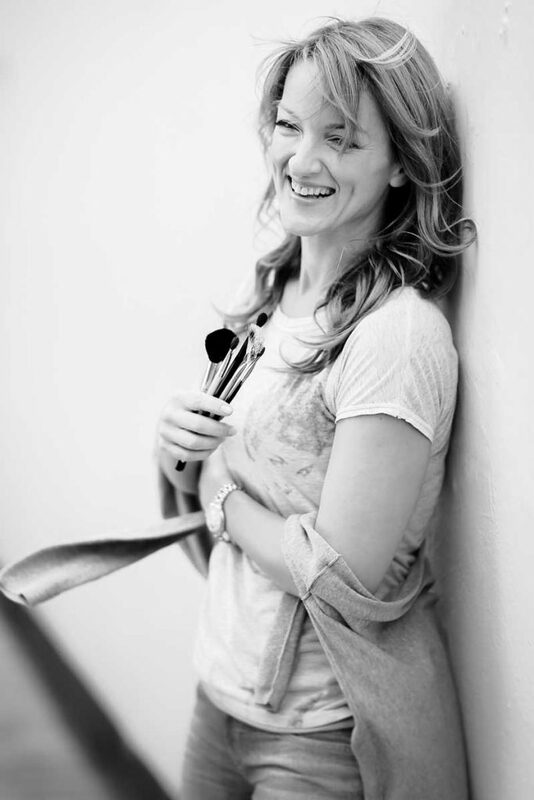 If you would like me to speak to any future clients I would be delighted to do so! Please also pass on my best wishes to Kasia for the rest of her pregnancy and her exciting journey into motherhood! We’re looking forward to an exciting wedding season ahead and hope that hundreds of our brides will be feeling the love for the K-Team as much as Jenny did. We’ll be feeling the love for every one of them – ensuring that they, their bridesmaids and their mums are not just styled to perfection as you would expect, but feel relaxed, calm, happy and look absolutely stunning.